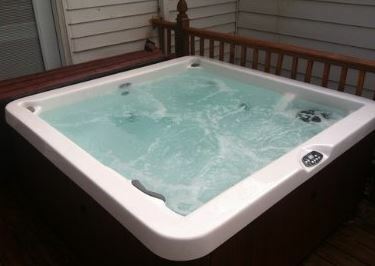 The Laguna Bay Spa is available for under $2,800. temperature and operate the neck, shoulder, calf, and foot jets. 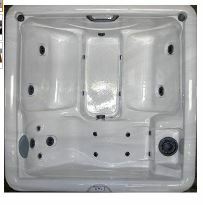 The hot tub is made of multilayered fiberglass and contains high-density foam insulation. output. The five-person Seascape measures 73 by 32.5 by 73 inches (W x H x D).